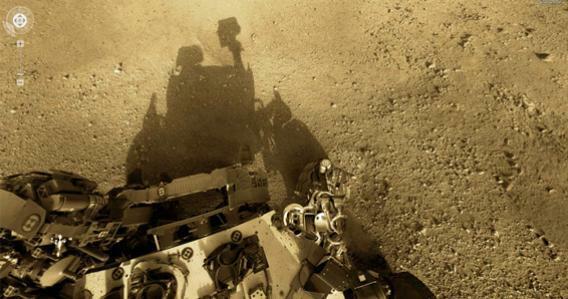 Mars Discovery: NASA touts Curiosity data that points to historic discovery. Curiosity is living up to its name. The NASA rover currently wheeling itself around Mars has apparently sent back some very interesting data from the Red Planet in the form of a soil sample that shows … well, something. From the sounds of it, something big. But for now at least, that’s all anyone is willing to say. Scientists at NASA’s Jet Propulsion Laboratory in Pasadena are keeping their lips sealed for the time being while they run additional tests to make sure the discovery holds up. That, however, hasn’t stopped one of the mission’s leaders from speculating loudly that it’ll be one that rewrites at least some of what we know about the universe. What we do know is that the data comes from a soil sample analyzed by the rover’s Sample Analysis at Mars instrument, an on-board lab known as SAM, so if the data holds up to further testing it appears possible, and perhaps likely, that it is a discovery of an element on Mars previously thought not to exist on the Red Planet. So why doesn’t Grotzinger want to share his exciting news? The main reason is caution. Grotzinger and his team were almost stung once before. When SAM analyzed an air sample, it looked like there was methane in it, and at least here on Earth, some methane comes from living organisms. But Grotzinger says they held up announcing the finding because they wanted to be sure they were measuring Martian air, and not air brought along from the rover’s launchpad at Cape Canaveral. “We knew from the very beginning that we had this risk of having brought air from Florida. And we needed to diminish it and then make the measurement again,” he says. And when they made the measurement again, the signs of methane disappeared. But the simple fact Grotzinger is willing to talk so openly (and excitedly) about the possible discovery in light of the past let downs would seem to suggest he has a good deal of confidence that it will hold up to further testing. No word on exactly how long it will take before we learn more, but Grotzinger told NPR that it will likely take “several weeks” before he and his team are ready to go public. Until then, feel free to take to the comments with your best (or worst) guesses.